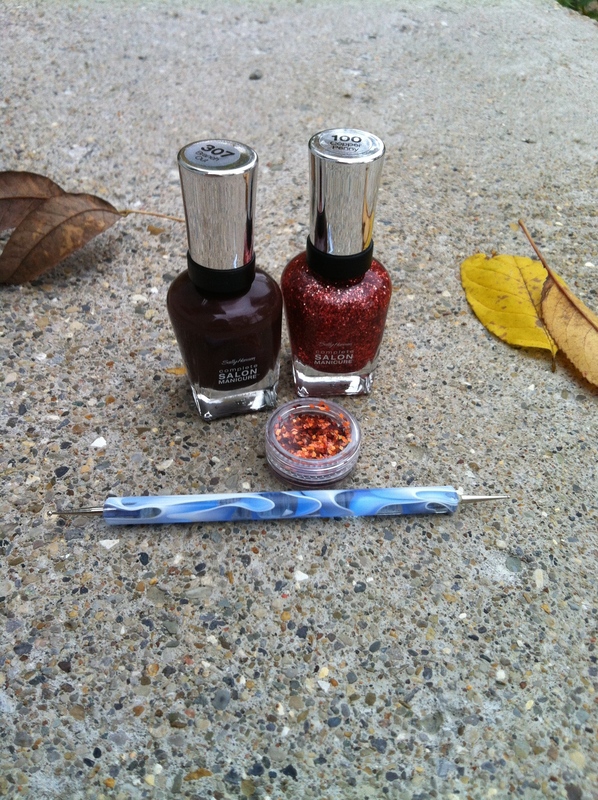 I seriously love fall colors, glitter, and toes peaking out of jeans on a nice autumn day. I combined all of these things for a snazzy fall foot look. I began with a layer of Sally Hansen’s Complete Salon Manicure in Branch Out on all the toes. That left a nice brown base to work with. 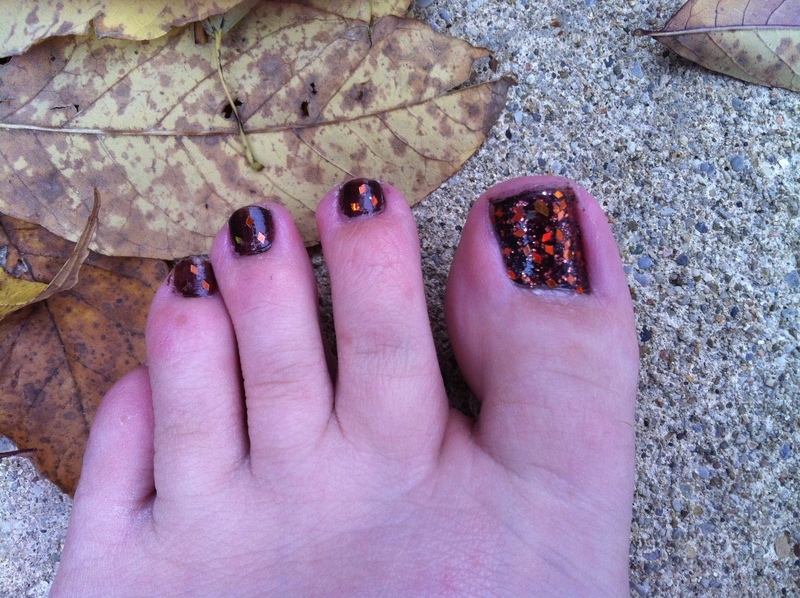 Then, on the big toe I put a layer of Sally Hansen’s Complete Salon Manicure in Copper Penny. This polish has copper glitter in circle shapes of all sizes. It added a nice pop. 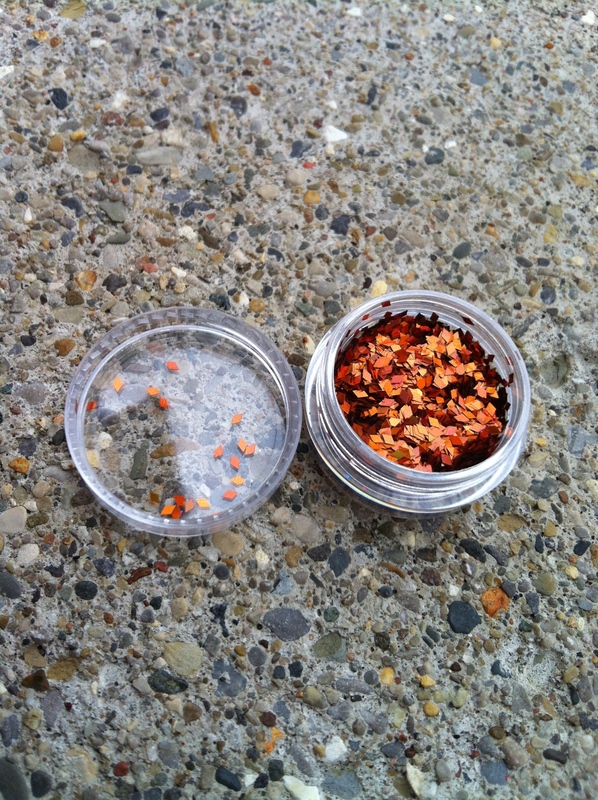 On the other toes, I used a dotting tool to place a few of these beautiful, diamond shaped, fall holographic glitters. I also sprinkled a few onto my big toe. While the pictures are a little meh, the results were great. A neutral enough look to go with everything, but sparkly enough to catch the sun on those beautiful fall days.